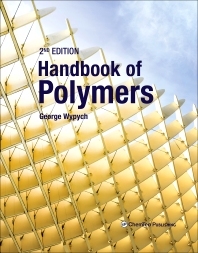 Handbook of Polymers, Second Edition, presents normalized, up-to-date polymer data in a consistent and easily referenceable layout. This new edition represents an update of the available data, including new values for many commercially available products, verification of existing data, and removal of older data where it is no longer useful. The book includes data on all major polymeric materials used by the plastics industry and all branches of the chemical industry, as well as specialty polymers used in the electronics, pharmaceutical, medical, and space fields. The entire scope of the data is divided into sections to make data comparison and search easy, including synthesis, physical, mechanical, and rheological properties, chemical resistance, toxicity and environmental impact, and more. The data enables engineers and materials scientists to solve practical problems, be that in applications, research and development, or legislation. The most current grades of materials have been selected to provide readers with information that is characteristic of currently available products.